Melody Meyer is President of Melody Meyer Energy LLC. Ms. Meyer recently retired after 37 years of distinguished service from Chevron to pursue new opportunities in the energy industry. She is the former President of Chevron Asia Pacific Exploration and Production Company and was responsible for Chevron’s exploration and production in the Asia Pacific region. Chevron is one of the largest energy producers in the region with operations in Australia, Indonesia, Philippines, Thailand, Bangladesh, China, Myanmar, and New Zealand, and with regional headquarters in Singapore. Ms. Meyer has extensive leadership expertise in international and U.S. upstream operations, strategic and business planning, major capital project execution, capital allocation, and delivering superior financial results. 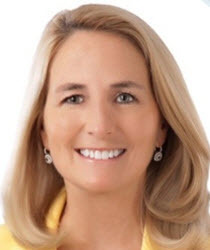 Ms. Meyer served on the Management Committee of Chevron for sixteen years with leadership responsibilities as Vice President U.S. MidContinent, Vice President Gulf of Mexico, President of Energy Technology, and President of Asia Pacific E&P. Internationally, she worked on major projects in West Africa and on new country start-ups in Tengiz Kazakhstan, Papua New Guinea, and offshore China. She was the Operations Engineering Manager in Tengiz, Kazakhstan, and Production Operations Manager in Angola. She has extensive experience with global fiscal environments, diverse asset classes, and mega project execution, with successful start-up of the Australia Gorgon LNG and China Chuangdongbei gas projects. Ms. Meyer graduated from Trinity University in 1979 with a BS degree in Mechanical Engineering Science and attended the Dartmouth Tuck Executive Education program in 1997. As a role model and advocate for women in the energy industry, Ms. Meyer took a lead role as Executive Sponsor of the Chevron Women’s Network and in formation of Women with Energy LLC. She also serves on the Board of Trustees of Trinity University and on the Board of Directors of The National Bureau of Asian Research. Ms. Meyer was recognized as a 2009 Trinity Distinguished Alumni, with BioHouston Women in Science Award, and with the ASME Rhoades Petroleum Industry Leadership Award.